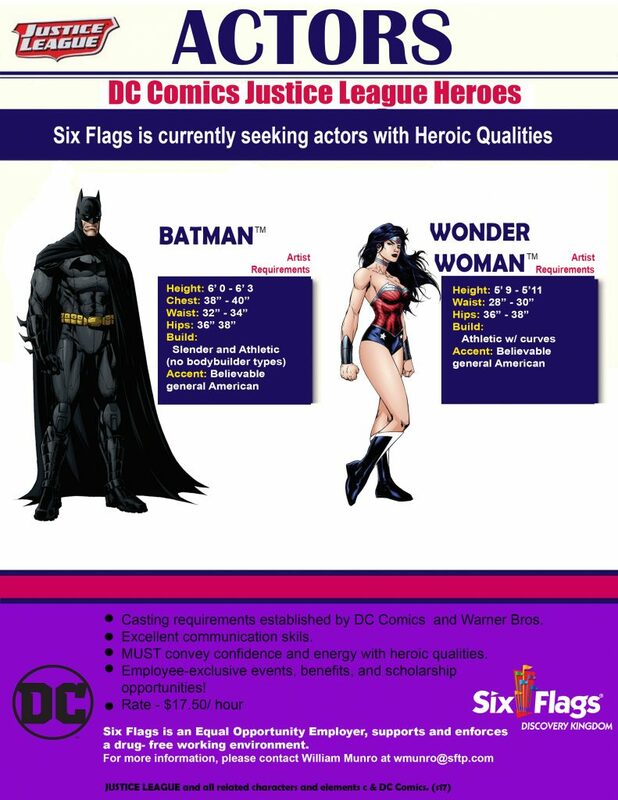 Six Flags Discovery Kingdom is seeking DC Comics Heroes and Villains for the 2017 Summer Season. We are currently casting Batman, Wonder Woman, and The Joker. Casting requirements established by DC Comic and Warner Bros.
Must convey confidence and energy with heroic qualities. Employee- Exclusive events, benefits and scholarship opportunities. Six Flags is an Equal Opportunity Employer, supports and enforces a drug-free working environment.